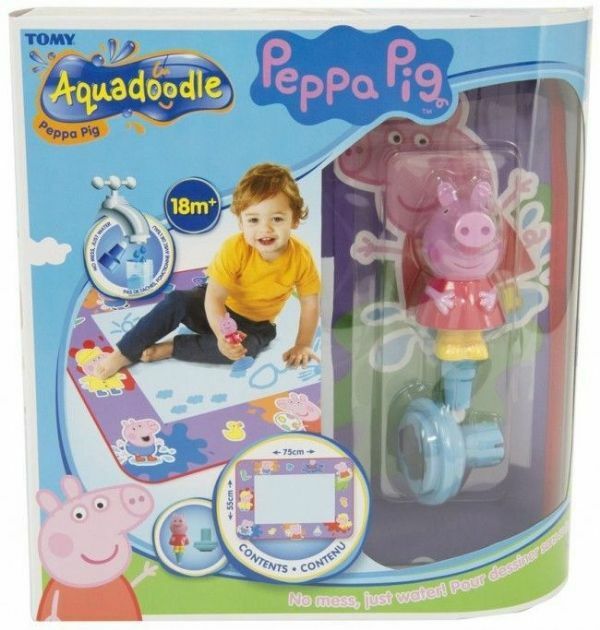 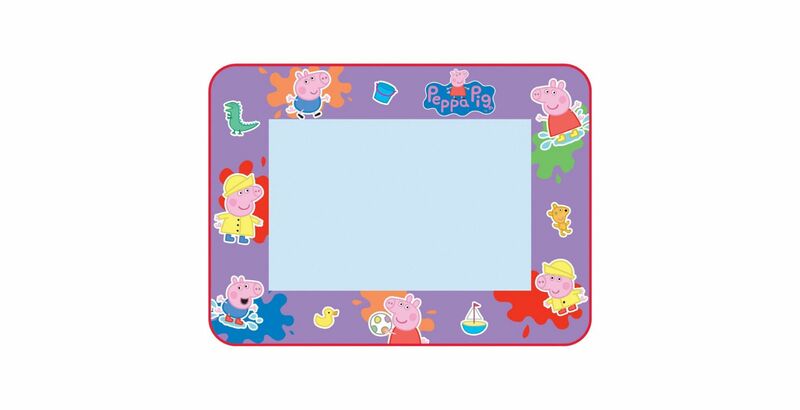 Peppa Pig Aquadoodle brings you hours of mess-free magical creative colouring fun. 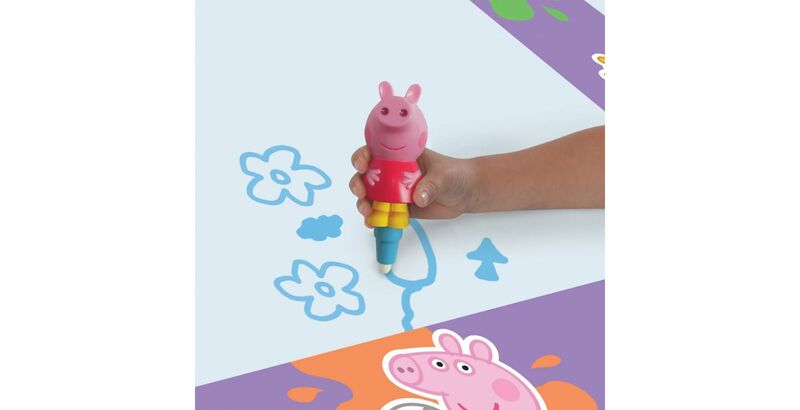 Simply fill the Aquadoodle pen with water, run the nib over the mat and see lines and colours appear like magic. No mess, no ink, no stains - colouring fun could not be cleaner! Just refill the Aquadoodle pen with water and go! 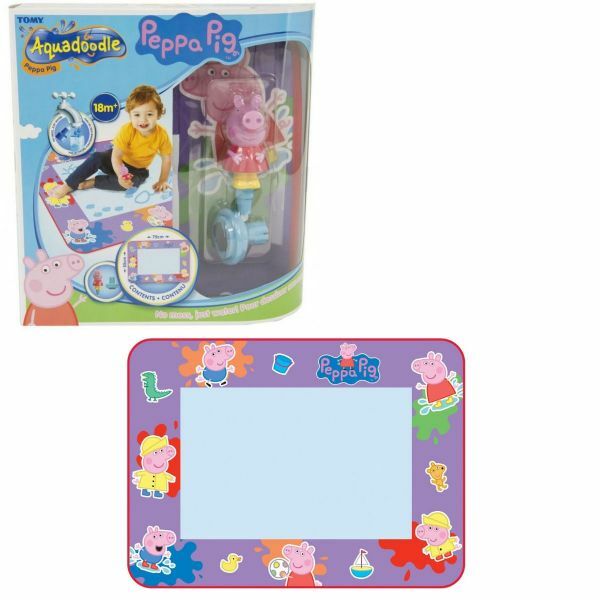 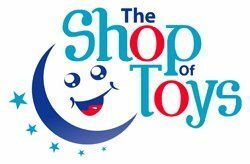 Includes 1 Aquadoodle pen, a fun stamper to make puddle shapes and lots of Peppa Pig designs to match and inspire around the edges of the mat.